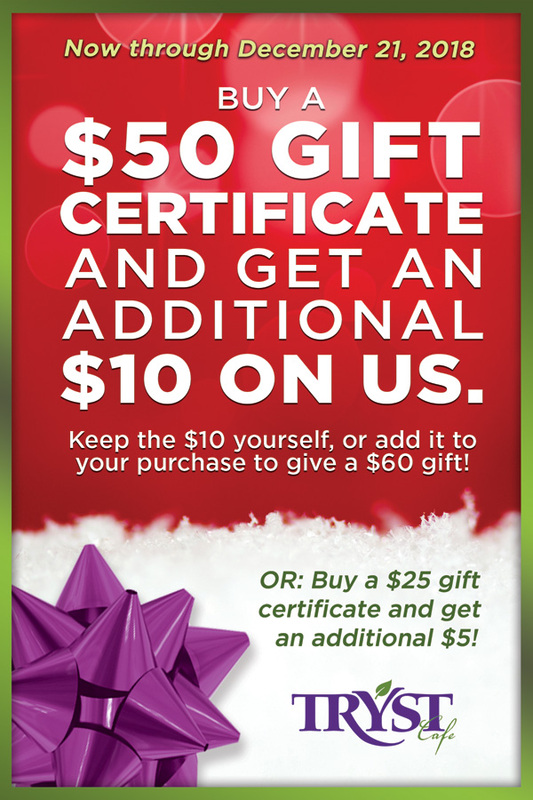 Buy a $50 gift certificate and get an additional $10 on us! Keep the $10 yourself, or add it to your purchase to give a $60 gift. OR, buy a $25 gift certificate and get an additional $5! Offer valid now through December 21, 2018.